Whether new to sailing, polishing up on your skills, or just cruising around, we take a tailored approach to meeting your sailing goals. 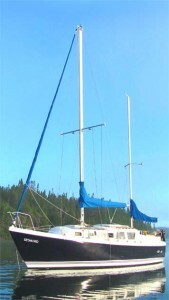 A Skippered Charter aboard S.V. Water Walker offers would be sailors an opportunity to experience the wonders of Gitchigoomie (The Great Lake) and enjoy a sailing adventure tailored to their needs. A Skippered Charter is easy and carefree, allowing you, your family or friends to enjoy your sailing vacation to the max. While every charter is highly customized check out some of our more popular itineraries.